Added new photos in Hugo Meyer Tele Megor 18cm f5.5. Added new photos in Kodak Ektar 52mm f1.5. Added a new page of Roentgen Zunow 65mm f1.4 for X-ray indirect imaging. Added a new page of 50mm Landscape lens for Dubroni Wet Plate instant camera. Added a new page of very rare Biotar 5.8cm f2.0 in Leica screw mount. Added a new page of Summicron 50mmf2.0 on Leica M3 BP. Added a new page of Miranda Soligor 58mm f1.5. Added new page of RUO Optik RUO Kino 4.2cm f1.5 . Added new photos of ballet practice in Kino Plasmat 50mmf1.5(2) page. Added a new page of unidentified lens for X-ray camera , Lumitar 5cm f1.5. .
Added a new page of Astro Berlin Gauss Tachar 75mmf2.0 , the other main stream of Astro lens. Added new photos by Dallmeyer Oscilac 51mmf1.0 , the strongest back bokeh lens. Added a new page of ZK 5cmf1.5, pure Sonnar f1.5 made in USSR in 1948. Added a new page of Essegi 5cm f3.5 , the standard lens of Itarian best range finder camera Janua. Added new photos at Super Yosakoi festival in Dallmeyer Super Six 5cmf1.9 page. Added new photos at Super Yosakoi festival in Kino Plasmat 75mmf1.5 page. The lens of Kodak Bantam Special. Added a new page of Ektar 45mmf2.0. changed the design of the cover page. Mysterious Factory, Mysterious lens. Added a new page of RUO Optik GMBH - RUO Kino 5cm f3.5. Added a new page of Koristka Victor Gamma 55mmf3.5 on Itarian rare camera Gamma I..
A mysterious lens from Taylor, Taylor and Hobson. Added a new page of TTH 63mm f1.86(T2). After a long absence, added a new page in 'Camera beloved'. Cornu Ontoflex is a very rare 6x9 twin lens reflex camera. Added a new page of Boyer Saphir 50mmf2.8 , this company has been less studied. Added new photos of Kern Macro Switar 50mmf1.8. Added new photos of real historic lens of Chevalier Photograph in 4x5 sheet films and self development. Added new photos of very rare Kino Plasmat 42mmf1.5 with full aperture and closed aperture. Added new photos of Classic Cars by Ernemann Kinostigmat 5cmf2.0. Added new photos by Carl Zeiss Sonnar 5cmf1.5 in Yono Taisho Jidai Matsuri. Added new photos by Ｅｌｃａｎ 2inch f2.0 in Nara and Kyoto. Added new photos by Dallmeyer Septac 5cmf1.5 at Taisho Jidai Matsuri. Added new photos by Dallmeyer Super Six 3 inch f1.9, most rare lens of Nacht Exakta standard lenses. Added new photos by H.Zuiko W-35mmf2.0 ,high performance lens equipped on Olympus Wide Super camera. Added a new page of the cute and pretty Leica screw mount lens- Old Delft Minor 35mmf3.5. Added new photos in MS-MODE-S 50mmf1.3 at Narita Gion Matsuri. Added a new page of very early Rolle 35 camera in '4. Cameras beloved'. The lens at the turning point of Hugo Meyer. Added a new page of Tele Megor 18cmf5.5. The legitimate successor of Chevalier Workshop. Added a new page of Richebourg Lens. Not suitable for oldlens.com? Added a new page of Summicron 35mmf2.0 ASPH Millennium Black Paint. Added a new page of Meyer Primoplan 8cm f1.9, one of four Nacht Exakta fast lenses. Discovering 4th Mushroom shape Meyer lens? Added a new page of Meyer Primotar 11.5cm f3.5. Added a new page of Astro Berlin Pictorial Tachar 75mmf1.8 , early masterpiece of the Company. Added a new page of Ultron 50mm f2.0 with Rectaflex mount. Added a new page of rare Hermagis Anastigmat 5cm f3.5. Added new photos with Astro Berlin Pan Tachar 50mmf1.8 in Bali island. Added new photos of Fireworks with Hypergon 60mm lens on Sanderson Tropical Camera. Added a new Lens test page of real vintage historilenses. Added a new page of Ultron 50mmf2.0 attached to Vitessa camera. Added a new page of Topcor 5cm f1.5. Added a new page of K.G.Corfield Ltd. Lumax 50mmf1.9. Added a new page of King of Oldlens Charles Chevalier Photograph a Verres Combines. Added new photos of menbers of Steampunk with Dallmeyer Oscilac 51mmf1.0 lens. Added a new lessen of 23rd in Lens School. Added new photos of 'night walk under cherry blossoms in Tokyo' on S.O.M. berthiot 28mmf3.3 lens. Added new page of Voigtlander Petzval lens made in 1846-7 . Added new photos of Zunow Pingpong 5cm f1.1 page. Added new photos of Meyer Primoplan 5cmf1.5 , the unique masterpiece of Meyer lenses. Added　a new page of a Mysterious Brass lens, maker, designer, composision all unknown. You can see the Uncommon concave surface at the very end of the lens. Added　new photos of Original Planar 75mmf4.5 with Leica S2. Added a new manufacture. Boyer Paris Saphir 50mmf3.5 has a Plasmat type lens composition which might be not so common as 50mm Leica coupled lens. Created a new Button of 'Recommendation of Albumen Print'. B&W photos made with egg white and Silver Nitrale inspire me a fantastic impressions. Added a new page of Biotar 4cmf1.4 which is from the 1st lot of revival Double Gauss type after Planaｒ. Added new photos with S.O.M.Berthiot Angulor 28mmf3.3 in Kawagoe. Added new photos with extreme rare Kodak Ektar 52mmf1.5 in Kawagoe after a long absence of use. Added a new page of Dubroni 70mmf3.5 lens for the first instant Wet Collodion Camera equipped on Leica S2. Added a page of Biometar 35mmf2.8 which is a very rare masterpiece born in cold war. Added a page of Trioplan 6inch f3.0 freshly taken on this New Year. (Camera Leica S2). Added a page of Xenon 8cm f2.0 in Leica screw mount. The final practice of Lens School culture festival. 'Melancholy of Biotar'. How the member elucidate the birth of Biotar? I forgot to list. Added new page of Leitz Elmarit 28mm f2.8 1st generation. Added new photos with Dallmeyer Super Six 5cmf1.9 at Yono Taisho Jidai Matsuri. Added new photos with Taylor,Taylor & Hobson Opic 5cm f2 at Yono Taisho Jidai Matsuri. Added a new page of 5cm f5 Petzval lens with very unique outlook. A lens from Darlot Carte de Visite Camera. Added new photos of S.O.M.Berthiot 75mmf2.8 at Shinagawa Shukuba Matsuri. Added new photos of Angenieux S21 50mmf1.5 at Shinagawa Shukuba Matsuri. Added new photos around Hongo area on Nikkor 5cm f1.1 page. Added a new page of De Oude Delft Delfinon 5cm f2.8. Added a new page of unidentified Hugo Meyer Trioplan 50mm f3.0. Added new photos with Ross Xtralux 5cm f2.0. Added new photos with α7RII in Ross Xpres 2 inch f1.9 page taken around Yanaka and Nezu. Added new photos of Kamakura Yukata Photo Session in Kino Plasmat 35mm,50mm(2) and 75mm pages. Added new photos in Taylor,Taylor and Hobson(cooke) 58mmf2.0 page. Added a new page of Astro Berlin Tachonar 35mmf1.0 in 1.Lens section as I modified into NEX(E-mount). Added Lens image and additional samples in Dr.Hensoldt Proto 55mmf1.8 page. Added a new page of Astro Berlin TV Tachar 50mm f1.5 very rare lens. Added a new page of ELCAN 2inch f2.0 lens in Leica section. This lens performance is excellent. Changed into a new rigid type without re-polished. Add new photos of Leitz Summar 5cm f2.0. Added a new page of Futura Frilon 50mm f1.5 with tender comfortable expression. Added new photos of Dubroni 5 inch lens with misterious expressions. Added new page of very early original Planar 7.5cm f4.5 serial number 27155 in 1898. Added new photos of Primoplan 50mmf1.5 at Unno Juku Matsuri. Added new page of mysterious Gaudin Petzval lens made in approx. 1845-50. Added new photos in Leica X1 page taken in Kyoto. I carried only X1 because of continuous bad weather. Added a new page of 1858 Vallantin Lerebours Lens in France Petzval lens group. Added a new page of Derogy Objectif a foyer multiples lens in France Petzval lens group. Added a new page of Jamin & Darlot Centralizing Cone lens in France Petzval lens group. Added a new page of Dallmeyer Oscillograph 51mm f1.9. Added a new page of very early Hugo Meyer Aristoscop Casket Lenses No.1267 with Cursive Letters on it. Added a new page of Dubroni Petzval 5 inch. Added new photos with Kinoptik Apochromat 50mmf2.0 taken at Hayama. Added new photos with Compass Camera fit on Sony Nex-3 to take Digital easy photos. Addition of a High Performance Lens. Added a new page of Summilux 50mm f1.4 ASPH LHSA. Addded new photos of Hypergon on Sanderson Tropical Camera..
Addded new lens test of 3 Tanar 50mm lens in Lens Test. Addded new photos of Hugo Meyer Makro Plasmat 50mm f2.7 at Yokohama Classic Cars Events. Addded new photos of Kern Macro Switar 50mm f1.8 on rainy day. Addded new photos of Zunow 50mm f1.1 at Kawagoe in 2015 New Year. Added a new page of Original Planar 35mm f4.5 made in 1902..
Added new photos of Makro Plasmat 5cmf2.7 (Mushroom) at Super Yosakoi Festival. Added new photos of Zuiko W-35mm f2.0 at Bashamichi. Added a new page of unknown lens Wollensak TV Raptar 85mm f1.5. Added a new page of the lens in 165 years ago. Lerebours et Secretan Achromatic Doublet Landscape Lens..
Added a new page of longing new Kino Plasmat. Plasmat 9cm f1.5 enterd on the stage. I made a new pages of Lens Components of major Lens Makers. Made a new button below the Lens Test button below. Added photos of SOM Berthiot Angulor 28mmf3.3 at Shinagawa-Shukuba-Matsuri. Added photos of Kino Plasmat 35mm f1.5 at Shinagawa-Shukuba-Matsuri. Added photos of Emil Busch Glaukar 80mm f2.0 at Shinagawa-Shukuba-Matsuri. Added a new Page of the most early Petzval type lens of Ernemann ' Kinostigmat 5cm f2'. Added new Page of the latest Summilux 35mmf1.4 ASPH(floating). Added new Photos of Dallmeyer Super-Six 5cmf1.9 with a new Leica M-P (240) digital. Added a new Page of Sonnar 5cm f1.5 1st in black nickel which has max aperture f8. Added a new Lecture in 'Lens School' to learn the origin of Seidel Aberrations. Added a new Lens Test page. I compared, Hugo Meyer Primoplan lens of 1/Early Leica mount type, 2/f1.5 type, 3/58mmf1.9 prewar lens, and 4/58mmf1.9 post war lens. No other camera neither Leica X2 can not accomplish. Such unique Jpeg expression. Added new page of Leica X1. Added new photos at Minka-En, Mandara-Do Remains, Kamakura, Yokohama Yamate in Primoplan 5cm f1.9 page. Added new photos in Tanar 5cm f1.8 page. Added new page of Large format digital Camera for petzval & Hypergon in Camera belove. Added new photos on Kino Plasmat 42mm f2.0 and Makro Plasmat 75mm f2.7 pages. 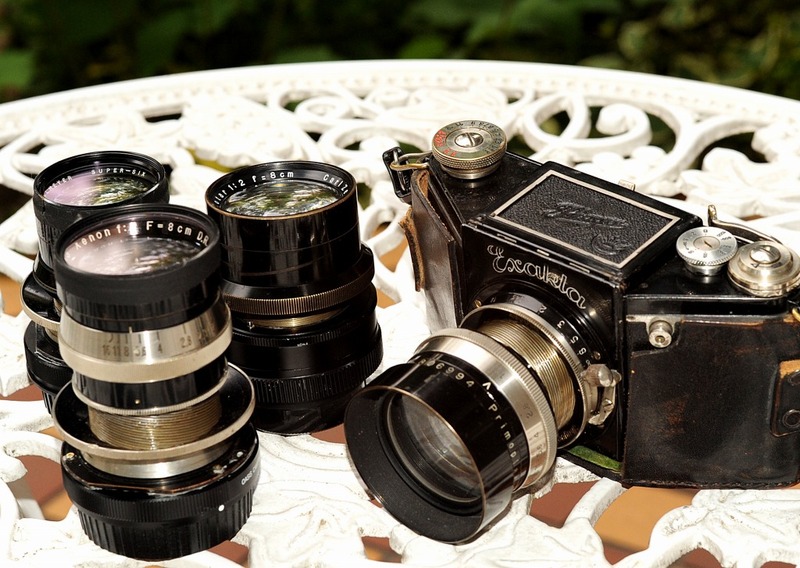 Added a new photos of Dallmeyer Oscilac 50mm f1.0. Please check its melting Bokeh. Added a new test in 'Lens Test' Comparison of Y/C Planar, Contarex Planar, and Summilux R ultimate Normal Lenses. Added a new page of Futura Frilon 70mm f1.5. Added a new page of Askania Kino Anastigmat 75mm f1.8. It shows surprising taste of bokeh. Added new photos of Wollensak Raptar 51mm f1.5. Dallmeyer Septac at closed aperture shows surprising sharpness. It even caught the hidden figure of Torasan in Shibamata. Added new photos of Dallmeyer Septac 50mmf1.5. This is a beautiful lens. Added the new page of TTH Cooke Anastigmat 2inch f2.0. This is my recomendation to keep. Added the new page of Kinoptik 75mm f2.0. Added the new page of 1864 world 1st Instant Camera 'Dubroni Camera 70mm f3.5 ' in France Lens. Added the new photos of Som Berthiot Flor 55mm f1.5. Ｌｅｎｓ School No19. 'Learning aberration of Normal Lens by each lens design'. (Super Yosakoi 2) Added a new page of R-Serenar 5cm f1.5. (Super Yosakoi) Added new photos of Makro Plasmat 75mm f2.7. Added some photos of Kino Plasmat 41mm f1.5. I compared 4 fast lenses(Super-Six, Primoplan, Xenon, Biotar) of Nacht Exakta. You can see through 3.Camera beloved and Lens Test page. Added photos by Ernemann Ernostar 52mmf2.0. Added a new page of the 2nd Kino Plasmat 50mmf1.5 nickel. Added new photos with Kino Plasmat 50mmf1.5. Added new photos with Angenieux 50mmf1.5 S21. Added a new day of Lens School. They learn about "Focal distance and Size of image"
Added a new page of Olympus H.Zuiko W-35mmf2.0 modified to Leica L from Olympus Wide Super. I found such a set of camera and 4 lenses falling down from the sky when I stepped out to the garden on the last Sunday morning. 1/If you can recognize the name of camera and the meaning of 4 lenses, , , , Your Lens sickness is fatal. 2/If you know names of some lenses, , , , , You are dipping into the horrible bottomless Lens swamp. 3/If you think thses should be heavy and useless, , , , , You are normal. Added new photos of De Aude Delft Rayxar 50mmf0.75. Added a new page of Tanar 5cm f1.5. Surprised with the differenct of its expression from Tanar 5cm f1.8..
Added a new page of Tanar 5cm f1.8. Added new photos taken with Ross　Xpres　2inch f1.9. Added new photos taken with Fujinon 5cm f1.2. Added a new page of Summilux 50mmf1.4 1st version Black Paint..
Added new photos enjoyng Tulip and late flowering Cherry by Goerz Hypergon nodified for NEX. Added a new page of rare Emil Busch Glaukar 80mm f2.0. Added a new page of Goerz hypergon 75mm f48 enjoying freely with APS-C NEX camera. Added a new page of Nikkor 50mmf1.1. Added new page of MS OPTICAL R&D Sonnetar 50mm f1.1. Added new photos with Zunow 50mm f1.1 pingpong. Added new photos with Primoplan 50mm f1.5 in 2009. Added new photos with Very rare Bausch ＆ Lomb 3inch E.F. Anastigmat f2.0. Added new photos with Hologon 16mm f8. Added new photos with All Chrome version Hektor 73mmf1.9. Comatic aberration and Sagittal Coma Flare. I brought Kino Plasmat 50mmf2.0 to CP+ where a rather long focus lens are desirable. Added new samples. Students clear up the development from Triplet to Ultrastigmat, Ernostar and Sonnar.. Copied by Ernostar? Added a new page of the very rare Gundlach Ultarastigmat 50mm f1.9. Added a new page of the rare Astro Berlin Rosher Kino Portrait 75mm f2.3. Added a new page of the extraordinary lens Astro Berlin Tachon 65mm f0.75. Added the new page to Lens Test. I compared MS Optical Sonnetar 50mm f1.1 to other good lenses. Added new photos of Hektor 73mm f1.9 all chrome type because I found Hood,Cap and Case. No addition of example photos. Added new photos with Kern Macro Switar 50mmf1.8 in Kamakura, Kawasaki, Shinagawa. Added photos of renewed Tokyo station with Hologon 16mmf8. The Lens School opened after a little long absence. This time, students argue the difference of expression of DP-2 Merrill and Kino-Plasmat. Added a new page of Taylor,Taylor & Hobson 35mm(1 3/8inch) f2.0..
Added new photos into Angenieux S21 50mmf1.5. Added new photos into Dallmeyer Septac 50mmf1.5. Added new photos into Kino-Plasmat 41mmf1.5 page. I made one book(only one) for enjoying my own imagination to distinguish the lens components. Therefore, there should be many mistakes. Please refer the thumbnails of 'Cover page, Index, some examples. There are around 1300 Lens components on the book. 'The Origin of Double-Gauss type lens'. The 3rd is the ancestor of Modern Fast Normal Lens, 'Opic of Taylor,Taylor & Hobson'. The method of breaking symmetry of Double Gauss type is Columbus's Egg in some way. Added a new page in Taylor,Taylor & Hobson. The 2nd is the one which I eagerly say 'the Origin of Origin' ., Alvan.G.Clark lens. The condition of the one is far from the perfect condition, I am happy if you feel a part of the feeling of Alvan.G.Clark lens. Added a new page in Bausch & Lomb. Starting to observe the expression of 3 origins of 'Modified Double Gauss design' which is the mainstream of the Fast Normal Lenses. 1stly, I made the new page of Original Planar 5cm f4.5 below. Auto Focus Thambar, Hektor 73, Summilux R, Contarex lenses. Of course most of readers might know how, but just introduce for somebody does not know. Please click 'AF Thambar 90mmf2.2(Nikon F). Added a page of fast Kodak Ektar 52mm f1.5..
Added new Page of Dallmeyer Oscilac 51mm f1.0 (Sony NEX nount). Added new Page of Dr. Hensoldt 55mmf1.8(Leica L mount). Added new Page of SOM Berthiot Cinor 50mmf1.5(C mount). I love this lens. Added new Photos of Wollensak Raptar 51mm(2.04inch) f1.5. Added new Page of Dallmeyer Super-Six 25mmf1.9(C mount). The 2nd camera of 'Cameras beloved' is 'Compass'. Also added new fotos of Veriwide100. Added new fotos of Kino-Plasmat 75mmf1.5. Added new pages of Dalleyer 50mmf1.9(C-mount) and Siemens Askinar 200mmf6.8(C-mount Reflect). Special Issue No.3(final). The Japanese-German Super Fast Lens battle. Lens Schoo No.21(Japanese only, sorry). Added new photos of Summar 50mmf2.0 and Angenieux 25mm f0.95(C-mount). Special Issue No.2. The Japanese-German Super Fast Lens battle. Look the Lens Schoo No.20(Japanese only, sorry). Added new photos of Zunow 50mm f1.1(ping pong). Special Issue. The Japanese-German Super Fast Lens battle. Look the Lens Schoo No.19(Japanese only). Added new photos of Schneider Xenon 50mmf0.95. Added a new big headline. 'Cameras beloved' shows some Cameras which elevate my taste very much. Added a new page of Ross Xpres 50mmf1.9. Added a page of Wray Ltd and a page of Unilite 50mmf2.0 modified in M-mount. Added photos of Dallmeyer Kinematograph 50mmf1.9 and Summicron 35mmf2.0 8 elements. Added photos of De Aude Delft Rayxar 50mmf0.75. One of the sharpest. Possible to have used in Nuclear Lab. Added a new page of Wollensak Raptar 51mm(2.04inch)f1.5. Sorry, Japanese only at moment. The 18th of the Lens school is "the Study of Kino-Plasmat(2) - the Result". Sorry, Japanese only at moment. The 17th of the Lens school is "the Study of Kino-Plasmat". Added photos of Summilux 21mmf1.4 ASPH in Verona and Bergamo. Added photos of SOM Berthiot Angulor 28mmf3.3. Added photos of Fujinon 35mmf2.0, T,T&H Speed Panchro 58mmf2.0, Summar 50mmf2.0, Hologon 16mmf8.0. After a long absence, adding a new Kino-Plasmat 4.2cm f2.0 in Leica Mount. Added new photos of Kern Macro-Switar 50mmf1.8, Dallmeyer 25mmf0.99(C-mount), Zunow 50mmf1.1. Added new Company of Taylor,Taylor & Hobson and new lens page of Speed Panchro 58mmf2.0. Added new page of MS-Optical R&D Trial lens 25mmf1.1(Micro 3/4mount). Added new photos of Dallmeyer Speed Anastigmat 25mmf1.5 C mount. Added new photos of Switzerland by Summilux 21mmf1.4 ASPH. Added new photos of Zunow 50mmf1.1 and Som Berthiot Cinor 25mmf0.95. Added a new page of Dallmeyer Kinematograph 2 inch f1.9. Added photos of Kern Macro-Switar 50mmf1.8 and Carl Meyer 25mmf0.95. Is it the world premier? There exist 5cm of Kleinbild Plasmat which is the last masterpiece of Dr.Paul Rudolph. Added the new page of Plasmat GMBH Kleinbild Plasmt 70mmf2.7 in Roland Camera. Added the new page of Dallmeyer Septac 50mmf1.5. Thsi is a wonderful lens. Added pictures of 'Venezian Children' by Hologon 16mmf8.0 . Added pictures of 'Venezian Design' by Planar 80mmf2.8 taken out from Rolleiex 2.8F . Added pictures of 'Scenerys in Venezia' by summilux 21mmf1.4. 2009/8/20 Added pictures in Amsterdam by Summilux 35mmf1.4 1st. 2009/8/15 The 12th of 'Lens School'. Today's study is 'Virtual Discussion no.2 - A foreboding of Jiro'. 2009/8/14 Added photos of Noctilux 50mmf1.2 and Noctilux 50mmf1.0. 2009/7/30 Added photos of Hologon 16mmf8.0. Please enjoy the Turips of the Keukenhof park. 2009/7/27 Added the new page of Fujinon 3.5cm f2.0. 2009/7/16 Added the new page of Fujinon 5cm f1.2 Nikon S mount. 2009/7/13 The 11th of 'Lens School'. Today's study is 'Virtual Discussion no.1 - The rage of Professor Petzval'. 2009/7/3 Added new photos of Angenieux 50mmf1.5 S21 and Schuneider Xenon 25mmf1.5 in C-mount . 2009/6/25 Added new page of Dallmeyer 5 inch f3.6 made in 1861. 2009/6/14 Added new page of Hugo Meyer Kino-Plasmat 15mm f1.5 in C-mount section. 2009/6/9 Added new page of rare Hugo Meyer Kinon-Superior 50mm f1.6. 2009/5/29 Added new photos of Kino Plasmat 35mm f1.5. 2009/5/24 Added new photos of Noctilux 50mm f1.2. 2009/5/16 Added page of Hugo Meyer Primplan 25mmf1.5 in C mount fast Lenses. 2009/5/4 Added photos of Hologon 16mmf8.0 and Kodak Ektar 25mmf1.4 in C mount. 2009/4/27 Added photos of De Oude Delft Rayxar 50mmf0.75. 2009/4/19 Revised the explanation for Angenieux maker page. And added photos of Super angulon f3.4 and Cooke Ivotal 50mmf1.4 in Cmount pages. 2009/4/10 Added a New page of SOM Berthiot Angulor 28mmf3.3. 2009/4/4 Added New page of Zunow 50mmf1.1 Nikon S mount. 2009/3/29 Added New page of Astro Berlin Tachonar 35mmf1.0 in C mount Fast lens . 2009/3/23 Added New page of Planar 80mmf2.8. Lens took away from Rlleiflex 2.8F. 2009/3/19 Added New page of Summilux 21mmf1.4 ASPH. 2009/3/10 Added 3 Lenses to C mount fast lenses. Ektar 25mmf1.4, Xenon 25mmf1.5 and Kern switar 50mmf1.4. 2009/3/1 Added photos of Dallmeyer 25mmf0.99 in C mount fast lenses. 2009/2/27 Added the new page of Xenon 50mmf0.95 in Leica M mount. 2009/2/21 The 10th of 'Lens School'. Today's study is 'more theoritical but easy understanding abberation'. 2009/2/14 Added photos of SOM Berthiot Flor 55mmf1.5, Dallmeyer 25mmf0.99, Cooke Ivotal 5cmf1.4 and Super Angulon R21mmf4.0. 2009/2/7 New year special 3 !! New Lens Test for Dallmeyer Lenses. 2009/2/2 Added new pages of Carl Zeiss Hologon 16mmf8.0. 2009/1/28 Added new pages of Dallmeyer Speed Anastigmat 25mmf1.5 and 15mmf1.5 in C mount category. 2009/1/26 Added photos of Ross Xtralux 50mmf2.0. 2009/1/11 New year special 2 !! New Lens Test for Non Leitz standard Lenses. 2009/1/8 Added photos by Super-Angulon M21mmf3.4 and Summilux M50mmf1.4. 2009/1/1　 New year special !! New Lens Test for 'C mount fast Lenses'. 2008/12/31 Added photos of Planar 50mmf1.4, Kino Plasmat 35mmf1.5 and Dallmeyer SuperSix 50mmf1.9. 2008/12/25 Added photos of Makro Plasmat 50mmf2.7, 75mmｆ2.7 and Xtralux 50mmf2.0. 2008/12/23 Added year 1932 and 1950 of the BJPA in 'Advertizement of old lenses'. 2008/12/14 Added a new page of SOM Berthiot 25mmf0.95 (by Lumix G1) in C mount fast Lens and added photos in Angenieux 25mmf0.95 page. 2008/12/04 Added a new page of Taylor,Taylor & Hobson Cooke Ivotal 2 inch f1.4 in C mount fast Lens. Re-open of the 'Lens School'. They challenge the lens design of dream Rapid Plasmat f1.0. Challenged snap photo with Delft 50mmf0.75 which is without diaphragm, without helicokd, no aperture control. Added a new lens of Carl Meyer 1 inch f0.95 and Angenieux 1 inch f1.95 in the category of C mount. The world of C mount 'fast' Lenses ! Added a new category of C mount. Fastest Leica Mount Lens ? Added a new page of De Oude Delft Rayxar 50mmf0.75. 2008/10/31 Added a new page of Ross Resolux 9cm f4.0. 2008/10/22 Added photos of Kino-Plasmat 50mmf2.0 and Kino-Plasmat 35mmf1.5. 2008/10/16 Added photos of Ms-Mode-S(miyazaki lens) 50mmf1.3. 2008/10/11 Added photos of Noctilux 50mmf1.0. 2008/10/05 Added a new page of Makro-Plasmat 75mmf2.7 and revised Hugo Meyer company page. 2008/09/28 Added Som Berthiot 25mmf0.95 (C mount) lens by modified Toy digital camera. 2008/09/22 Added new pages of Ross company and Ross Xtralux 50mmf2.0. 2008/09/18 Added new pages of Summar 50mmf2.0 in Ernst lLeitz/Leica page. 2008/09/05 Added new pages of Astro Portrait 150mmf2.3. 2008/09/01 Added new pages of SOM Berthiot Flor 55mmf1.5 and 75mmf2.8 . 2008/08/15 Added photos of Kino-Plasmat 41mmf1.5 . 2008/08/10 Added photos of Astro Berlin PanTachar 50mmf1.8, Hektor 73mmf1.9, Summilux R50mmf1.4, Kino-Plasmat 50mmf1.5 and Noctilux 50mmf1.0. 2008/08/01 Added photos of Dallmeyer Super-Six 2inchf1.9 & Dallmeyer Anastigmat 35mmf4.5. 2008/07/31 Added photos of Angenieux 90mmf1.8. 2008/07/13 Added photos of Kinoptik 50mmf2.0 and Kino-Plasmat 50mmf1.5. Revised the explanations of Hektor73mmf1.9 lens. 2008/06/29 Added new button of 'Abberation of Leitz lens' and made a new lens test of 4 Kino-PLasmat lenses. 2008/06/25 Added new pages of Hugo Meyer Kino-Plasmat 50mmf2.0 and Kino-Plasmat 35mmf1.5. Added 2 new photos of Dallmeyer SuperSix 50mmf1.9 , Thambar 90mmf2.2 , and Angenieux 50mmf1.5. 2008/05/17 Added 2 new lenses. Bausch & Lomb 75mmf2.0 extremely rare lens and Dallmeye Anastigmat 35mmf4.5. 2008/05/07 Added photos of Kino-Plasmat 41mmf1.5, Old Delft 35mmf4.5, Angenieux 50mmf2.9 Z2. 2008/04/27 Added photos of M-Rokkor 28mmf2.8. Added photos of kinoptik 25mmf2, Apo-Telyt R180mmf3.4, and Super-Angulon R21mmf4. Added a explanation of Dallmeyer Company. Added photos of Dallmeyer 3inch f1.9 and Angenieux 50mmf15. 2008/03/18 Added a new photos by Angenieux 50mmf1.8 and Astro Berlin Pan Tacher 50mmf1.8. 2008/03/13 Added a new page of Angenieux 50mmf2.9. 2008/03/08 Added photos of kinoptik 50mmf2.0. 2008/02/28 Added photos of Noctilux 50mmf1.2 and Kino-plasmat 50mmf1.5. 2008/02/25 Added photos of Kino-Plasmat 75mmf1.5. 2008/02/20 New lens test of standard Nijimi(blur) lens was made. 2008/02/17 Added photos of Noctilux 50mmf1.0. 2008/02/09 Added Makro-Plasmat　50ｍｍｆ2.7　and　Megoflex. 2008/02/07 Added photos on Summilux 35mmf1.4 1st, and added English on Lens Test (3)-(11). 2008/02/03 New Lens test / Noctilux f1.2 & f1.0 Complete Test. Added photos of Macro-Switar　50mmf1.8　and　Elmart　21ｍｍｆ2.8　ASPH. Added two new Lenses　"Dallmeyer Super-Six 50mmf1.9" and "Angenieux 135mmf2.5 P2". Added two new buttons of "Advertisement of old lenses" and "Valuable old Articles" in "2. Test & Histories". Wish to be useful for your information. Revised pages of Noctilux50mmf1.2, Summilux35mmf1.4 1st, Elmarit21mmf2.8 ASPH, Kino-Plasmat50mmf1.5. added Photo of Kino-Plasmat 40mmf1.5 and Apo-Telyt 180mm ｆ3.4. Made the page of summilux 35mmf1.4 early version. Revised the page of Hektor73mmf1.9, elmarit21mmf2.8, SA R21mmf4.0, Kino-Plasmat 50mmf1.5. The travelogue of visiting Wetzlar, the home town of Leica in August 2007 has completed. (Japanese only for a while). Started the travelogue of visiting Wetzlar, the home town of Leica in August 2007. (Japanese only for a while). compared the difference of 1st and newer type of Non ASPH Summilux 35mmf1.4 . Created Netherlands page and added De Oude Delft lens photos. And added new photos of Summicron 35mmf2.0 8 elements. Added the new photos of Kinoptik25ｍｍｆ2.0 and Kino-Plasmat25ｍｍｆ1.5. Added the new photos of Elmarit 21mmf2.8 ASPH, Thambar 90mmf2.2, Summilux 35mmf1.4, Summicron 35mmf2.0 8 element, Angenieux 50mmf1.5. Added new Lens comparison. Noctilux 50mm f1.2 and newest 50mmf1.0 are included..
Added the new page of Astro Berlin Pan Tachar 50mmf1.8. Sorry for long absence. Restart to revise pages. Added new pages of Noctilux50mmf1.0 and Summicron35mmf2.0 8unit. And added Photos by Noctilux 50mmf1.2. Added Photos by Summilux 35mm ｆ1.4. Added photo by Apo macro Elmarit 100mmf2.8, Angenieux 50mmf1.5, Apo Telyt 18mmf3.4, Kino-Plasmat 50mmf1.5,Dallmeyer Super Six 75mmf1.9 lens. Added Makro-Plasmat 120ｍｍｆ2.9 lens Hugo Meyer Page which is the 6th Plasmat Lenses. Added 28mm lens in Chronology of Leitz Lenses..
Added ｈｉｓｔｏｒｙ of Kinoptik S.A..
Added Photos by Kinoptik 50mm and Ms-Mode-S.
Added Photos by Kinoptik 25mm. Added Photos by Hugo-Meyer Macro-Plasmat. Finished Kern Macro-Switar and ｔｈｅ history of Kern & Co. Finished ｔｈｅ page of Leica Lenses in germany category. Finished 35mm lens on Chronology of Leitz Lenses. Added new photos on Noctilux 50mmf1.2 lens. Finished 50mm lens on Chronology of Leitz Lenses. Added Kino-Plasmat 40mmf1.5. And added new photos on summilux 35mmf1.4 lens. Started to make a new page of Chronology of Leitz Lenses even still under construction. added Lens Test for Red leaves on Lens Comparison page. added new page of Makro-Plasmat 105mmf2.7 linked from Hugo Meyer page. filled up Chronology of Lenses till 1931（invented Sonnar lens). added Leitz lens photos and explanations for wide angle,normal,and Hektor73..
added more explanation and inpression on France lens and hugo meyer lens. 2006/11/18 仮立ち上げします。 Temporary open this page.